Former Nigerian junior international, Ajibade Omolade, has likened his former teammate, Victor Ezeji, to retired Spanish striker, Raul. Omolade, who played with Ezeji at defunct Sharks and Enyimba congratulated the striker ahead of his testimonial match billed for Saturday, January 7, 2017, at the Sharks Stadium, Port-Harcourt. “We call him Raul because of his qualities. 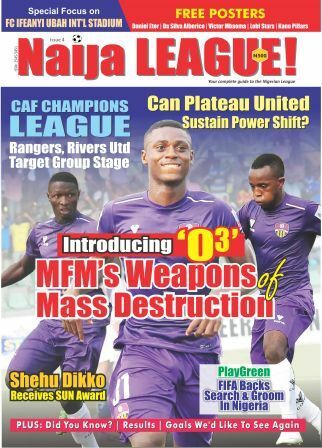 Ezeji is a prolific goal scorer and a team player”, Omolade said to naijaleague.com.ng. 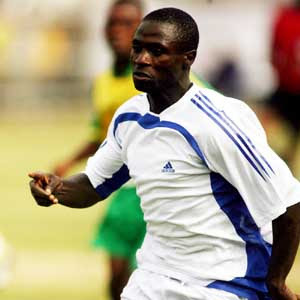 “I met him when I moved to Sharks and we also played together at Enyimba. Ezeji is a player I respect and I’ll be in Port-Harcourt to honour him. “It’s not easy to play 20 seasons in the Nigerian League and he deserves to be celebrated”, the defender who plays in Egypt told naijaleague.com.ng.